The Flash returns with a new episode at 8PM ET tonight (November 11) on The CW, and to promote the episode, they are releasing a series of seven “character cards” spotlighting individual character. 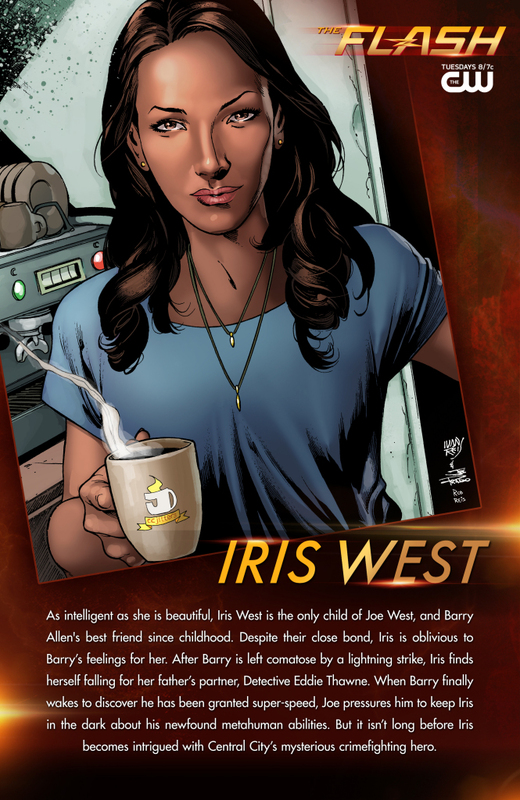 DC Comics artist Ivan Reis (Justice League, Green Lantern) drew the character card for Iris West, who is played by Candice Patton on the series. You can see the artwork below, complete with a biography of the character. The other six character cards can be found across the ‘net, so start searching if you want to see more!